Adding more comfort to your home or business need not be complicated or expensive. Our awning is just what you need! Ever had to cancel an outdoor event due to unexpected rain? Feeling sorry for your children because they can’t go out and play in your home’s backyard because it’s just too hot? With Singapore awning, you never have to deal with those concerns ever again. 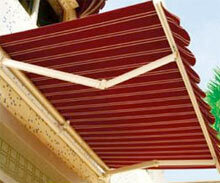 We give you high grade, high quality awnings that provide you with the benefit of comfort and many more. Specializing in retractable, fixed, canopy and polycarbonate awnings, our products are made with exceptionally durable materials that can withstand all the harsh elements whether heat or rain. This means that you, your family, your customers, and your clients will be protected for years to come. As a premier awning contractor we are committed to giving you not just function but also sophistication and taste. We make sure that the installed awnings blend well with your existing fixtures to give one cohesive look and feel. You have a need? We have the solution! Want something you can easily adjust according to your preference? We have retractable awnings that give you the control on how much sun you would like to come inside your premises. The shade can be pulled back or extended however short or long you want. But if you are looking for something more permanent, we also offer fixed awnings. Want form and function? Canopies are your best choice. Owing to their flexible shape, canopy awnings serve the purpose of providing shade but can also be formed into different designs that can easily amp your area’s aesthetic appeal. This works well for cafes and store fronts. If you want more light coming in sans the harmful ultraviolet rays, polycarbonate awning is the one to go for. With its translucent quality, you get the benefit of more sunlight coming into your space. More time to experience the outdoors. Barbeques, parties, or simply some “putting your feet up” time can be enjoyed conveniently and comfortably inside your home. Your business’ customers can also have the option to sit and enjoy the outside. UV protection. Your skin is not the only one that needs protection from solar radiation. Your rugs, furniture, and drapes can easily fade if not properly shaded from these rays. No weather worries. Neither the sun nor the rain can dampen any special occasion. Energy saver. 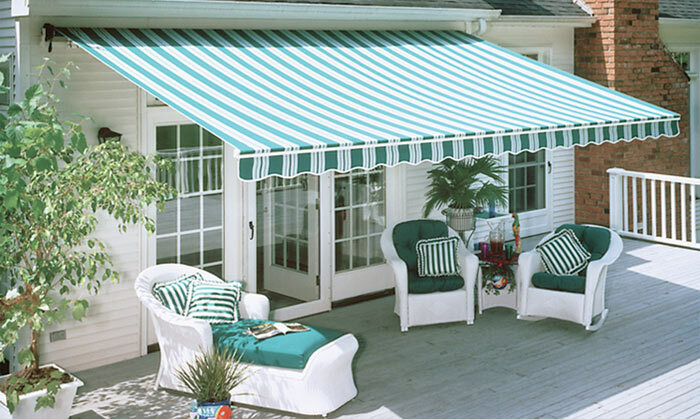 Awnings keep the inside of your space cooler and also prevent the loss of cooling energy. Hence there is less need for air conditioning or there will be lesser load placed on your unit. We offer free onsite quotation and can expertly advise you on the best option for your home or business. If you value product quality and service excellence, we are the ones to call. Contact us now for a free on-site quotation!